A delicious long time favourite salad. 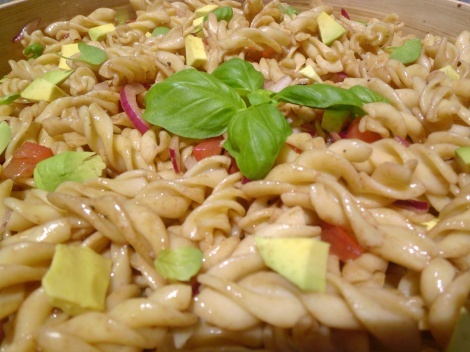 Spiral pasta, fresh basil, capers optional, fresh tomatoes and avocado, red onion and a homemade balsamic vinegarette. This is sold as a large salad .